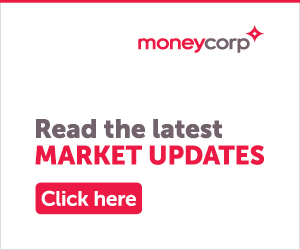 If you want to make regular payments overseas, our partner MoneyCorp can make this simple and cost effective. You might need to pay overseas mortgage payments or arrange transfers of UK pension payments or any other regular transfers. The Regular Payment Plan removes the worry caused by exchange rate fluctuations when making regular euros or other foreign currency payments over a period of time. • A commercial rate of exchange on your regular payments. • A fixed exchange rate for up to two years, so you will know exactly how much your payments will be in Sterling. • Lower transfer fees than the bank. • Shorter transfer times than the bank. • The convenience of payment by Direct Debit. The Regular Payment Plan is flexible to suit your needs. It will allow you to fix an exchange rate on regular overseas payments for a period of between 6 and 24 months. Your regular payments will be paid to Moneycorp by Direct Debit. Moneycorp will then arrange for all currency transfers to be made to an account specified by you. Moneycorp will not debit your account more than 5 working days before the value date of your currency payment. Please note that the minimum monthly transfer amount is £250. The only charge for this service is a £4 transfer fee for each transfer made on your contract. Moneycorp will require the final payment of your contract in advance as a security deposit on the contract. How do you register for the Regular Payment Plan? Registration is both quick and easy. Simply complete our Currency Application Form and one of our expert advisers will call you back at a time to suit you. As a FrenchEntrée user, you will benefit from free international money transfers for life when you join.